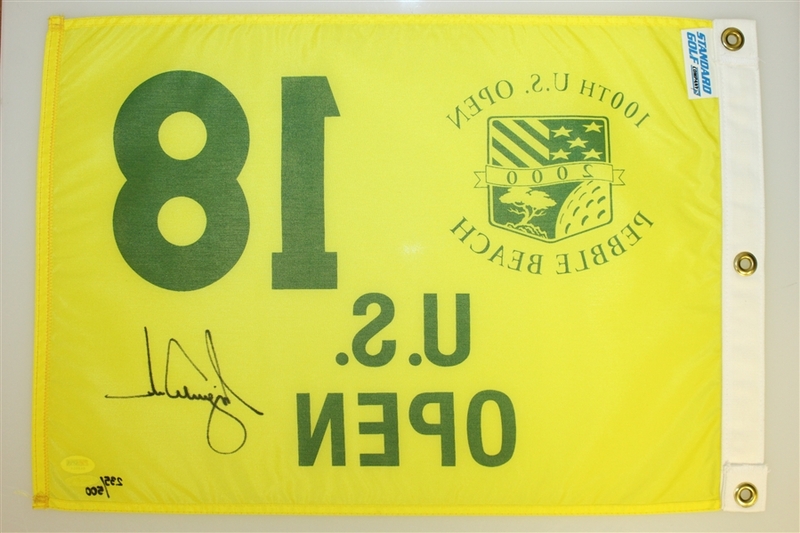 The year 2000 was the peak of Tiger Woods dominance over the field, and the 100th U.S. Open was no exception, as Woods would win by a record 15 strokes. 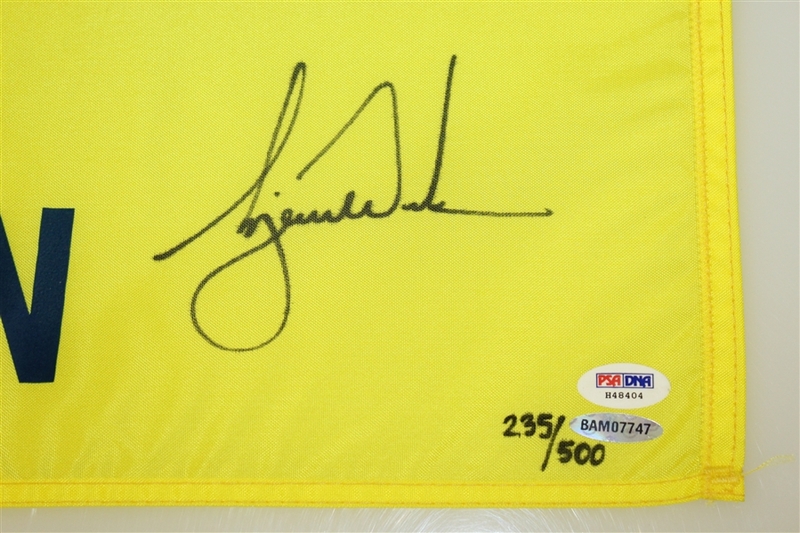 This became the most dominant performance by any golfer at a Major championship. 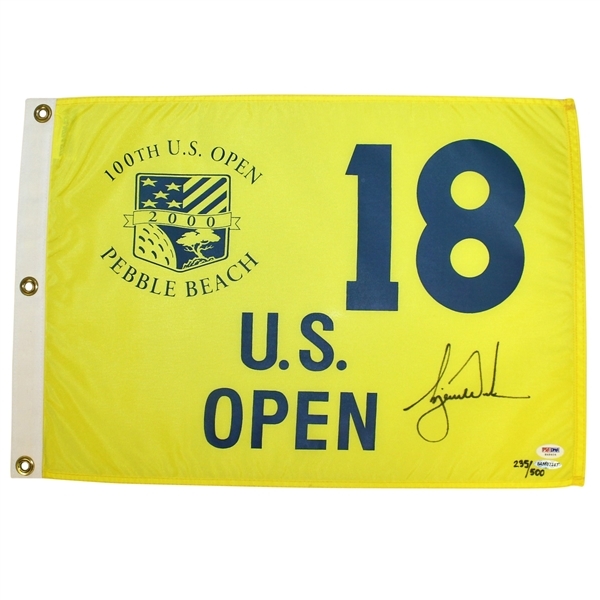 Tiger leaves his signature in black Sharpie on this 2000 U.S. Open at Pebble Beach flag. 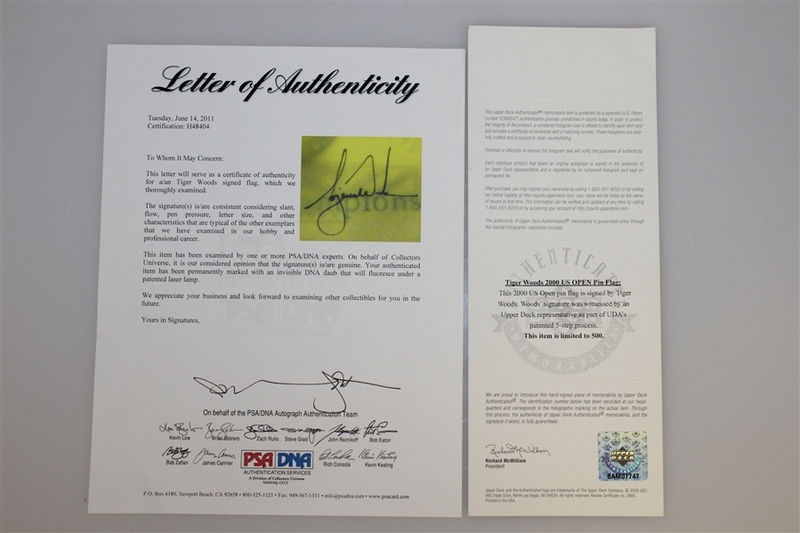 Tiger's signature here comes as a limited edition #235/500 UDA #BAM07747 and PSA/DNA H48404.